A well-attended networking Reception was held on 23rd May 2014 at Bengal Club, Kolkata hosted by Christie Cherian and Shourya Mandal of Fox&Mandal, Kolkata in the presence of Scott Furssedonn-Wood, Deputy High Commissioner, Eastern India, BDHC – Kolkata. With 28 attendees from UK companies, UK-related business such as tea exporters and UKTI-Kolkata & British Council, a formal meeting was addressed by Shourya Mandal welcoming all guests. Scott Furssedonn-Wood spoke of his pleasure in seeing this new BBG taking shape and felt it would add great value to India-UK business in Eastern India. Christie Cherian addressed the gathering exploring the BBG establishment through India. He also spoke of the history of having set-up BBG in Chennai three years ago, now with 150+ members. Christie also spoke about helping BBG’s in Hyderabad and Bangalore set up during 2013. He hoped that an initial Steering Committee could work towards an official launch during September 2014. For this, he called upon 2-3 attendees to join Shourya Mandal in this Steering Committee to work on constituting BBG Kolkata, possibly as an Association or Society. BBG Chennai presented the meeting with a display standee (as shown here on the left) with all of Calcutta’s (old name) iconic landmarks on the sky-line reflected onto the Hooghly. We wish the best of luck to the new BBG in Kolkata! If Narendra Modi has made it to 7, Race Course Road, it is a triumph not only of strategy and commitment, but of the basic management and marketing principles that his campaign embraced. Right from the outset, the party under Modi set itself stretch targets – which focused the efforts of all the stakeholders to one central objective: Mission 272+. This was the ultimate goal of getting the BJP a majority of its own even while focusing on building the right alliances in the right states and voter niches. Equally important, the BJP was a perfectly aligned force from teeth to tail – from the one leader (Modi) who led the fight from the front, to the last karyakarta, the BJP and RSS foot soldiers, who felt they had a personal stake in this election. When there is such an alignment from top to bottom, it is no surprise that the end-results have been so gratifying. The chemistry between top and bottom was electrifying. Unlike the Congress, where the bosses kept themselves cocooned and the workers ran a disprited campaign, in the BJP the boss led from the front – driving the enthusiasm of the cadre. Modi & his circle often put in grueling 20-hour days, criss-crossing & addressing over 450 rallies in a few months, and addressing even larger audiences with his unique 3D (holographic) projection technology which enabled him to be in several places at the same time. In the run-up to the election, we had run a story on the management lessons we could learn from Modi’s campaign. It is worth recalling it again in the context of the success of the BJP and Modi today (16 May). These are some of the things one can learn from the success of the Modi juggernaut. First, declare your ambitions and goals clearly. Rarely in Indian elections have we seen any candidate clearly state what he wants and what he hopes to achieve if he gets what he wants. While others pussyfoot around the idea and act coy, Modi has always been clear he wanted to be PM. This is the main reason why many voters are clear about giving him a chance. This is simple logic. Consider that there are three applicants for a job. The first applicant says it does not matter if he gets the job or not, for he is on to higher things. The second applicant says everyone else is a crook and doesn’t deserve the job. The final applicant says he wants the job and he is best qualified for it. He is willing to work hard and brandishes his past achievements to support his candidature. Who will you give the job to? The chances are you will consider the person who is keen on the job, seems to have the qualifications, and willing to toil for it. This is the power of goal clarity and focus. Second, set stretch targets and align your entire team to the final goal. This time, the BJP’s stretch target was Mission 272+ – getting a majority for the BJP on its own. The power of the stretch target is simple: when you have to achieve so much, you have to rise above you normal diffidence and everyday pettiness and get every shoulder to the wheel. You have to make every last workers feel this is his target – and every worker suddenly forget his petty quarrels and works for the larger goal. The most spectacular part of the Modi campaign was that there was perfect alignment between leader and foot-soldier. If the leader led from the front by going wherever his ‘karyakartas’ called him, often when his voice was going hoarse, the foot-soldier felt this was his own battle. He was fighting his own cause. Third, break the final target personal targets into a set of smaller targets and milestones. Modi’s milestones were clear: First, win Gujarat convincingly, next win public backing for his candidature through carefully-choreographed speeches to specific audiences (starting with the address to the Shriram College of Commerce in January 2013 in Delhi), then win party support by getting the cadre excited at various fora, and then expand his support base by winning votes for his party CMs in various assembly elections (but after sealing his candidature for the top post). After this, get enough votes in crucial states to lead his party to victory and form a government. Modi ran his campaign like a US presidential election – from primaries to the final party nomination and on to voting day. Fourth, demonstrate strength, then invite stakeholders. One of the big myths perpetrated by the media is that Modi would never get allies because of 2002. For a while it seemed likely to prove true. But Modi did not bother with this theory. He knew allies would come if they saw winning potential in him. Once he demonstrated public support and the opinion polls started conveying the same groundswell of support across the country, allies started trickling in one by one. It is strength that attracts allies, not entreaties. Fifth, eliminate doubters and bring in team players. This is one of the core philosophies that saw Roald Amundsen, the Norwegian explorer, beat Robert Scott to the South Pole in 1911. Amundsen knew that if his team had to make it first, it needed competent people, but more important, he needed people who would fall in line and not try to be too individualistic. As Morten Hansen writes in this HBR blog: “Amundsen emphasised unity and teamwork over individual competence. He got rid of his best person, Johansen, and booted him from the final assault team because he had quarrelled with Amundsen openly in front of all the others. Amundsen could not risk fracture in his team, which could jeopardise the whole enterprise. Likewise, Bill Gates was quick to manage out people who didn’t fit, including two presidents…”. This is exactly what Modi did. First, he got his bête noire Sanjay Joshi out of Gujarat in 2012. Then he got the party to appoint his key person, Amit Shah, as the person in charge of his most important state – Uttar Pradesh. Shah is facing cases against him in some alleged encounter killings, but for Modi his loyalty and political acumen was what mattered. Sixth, plan meticulously and in detail. TV viewers watching Modi’s speeches in various places may think it is all about oratory, but that was only one part of the Modi plan to communicate with the masses. The truth is there was an entire army of people working to support his rallies. There was a huge IT crew that monitored the buzz on social media. There was a huge contingent of on-ground researchers who thanked people who come to his rallies and seek feedback. A Narendra Modi rally was never about just erecting a stage and giving the speakers a mike. There was water-tight security combing, there were LED screens to give everyone who attended a clear view of the man, there were speakers at vantage points to amplify every soundbyte from the stage – the works. Plus there were feeds organised for the TV channels, and facilities for live streaming on the internet. Seventh, set the agenda and keep control. Companies which hope to win in a competitive arena must choose their battlefield and the agenda. In this election, Modi had been setting the agenda most of the time. During the Gujarat campaign, he spent more time attacking Sonia and Rahul than on local issues – he took the nation’s eyes way from any nagging issues in his own state. The media labelled him as uncouth, and pooh-poohed him. He won by setting the agenda to his advantage. 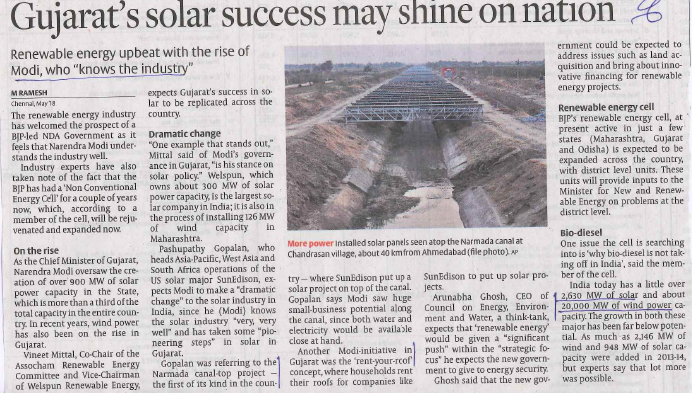 After emerging from Gujarat on the national stage, he began talking of the Gujarat model. Suddenly, the man who everyone labelled communal was talking growth and development and introducing new talking points to the TV and media circuit. The agenda excited young voters at a time when Rahul Gandhi was talking elliptically about Jupiter’s “escape velocities”. The Gujarat model was questioned after Arvind Kejriwal’s foray into Gujarat, but it was too late – as the agenda had changed again. It was too late to debunk the Gujarat model. The Congress gave him space to introduce the Gujarat model by initially ignoring Modi. And by the time they began challenging it, the idea had been bought by many young voters in many parts of the country. Over the last few months, the main issue in this election was Modi himself. All his detractors had taken him on – making him the focus of this election. This suited Modi well since this election now became a referendum on him. He had not only set the agenda, he became the agenda. Take another example: Till a few months ago, the general assumption was that everyone voted regionally – and regionally alone. Indian Lok Sabha elections are about parties and alliances, not about the candidate. But Modi succeeded in making this election substantially presidential. Eighth, attack the enemy where he is weak. This strategy is, of course, obvious. Modi’s strength has been the UPA’s economic failures, and the meekness of Manmohan Singh as PM. It did not need a Modi to discover where the UPA’s chinks were, but it required genius to discover whom to attack, how to attack, and for what. Contrary to general assumptions, Manmohan Singh’s weakness is actually his strength. As LK Advani found out in 2009 and even later in parliament, if you attack Singh’s meekness, you risk public opprobrium and Singh can easily turn the tables. But if you pity him, you gain. The meek always inherit the public’s sympathies. Modi was happy to defend Singh when Rahul Gandhi insulted him by rubbishing the ordinance to help convicted criminals as “nonsense”. Modi defended Singh. He attacked Sonia and Rahul more in order to expose the weakness of their government. Modi know whom to attack, when to attack, and how to attack. Ninth, never play to your weakness. Answering direct questions from aggressive TV anchors is an uncontrollable situation. As Rahul Gandhi discovered in his TV interview with Arnab Goswami in January, you can make a fool of yourself. Modi, in contrast, used only friendly interviewers for his Q&As. He has learnt from bitter experience – as in the India Today Conclave in 2013, when he lost his cool following aggressive questioning about 2002. It is unlikely he will change this strategy as long as he is not PM. This is not to suggest that every part of his strategy was well worked out. That’s not the case. Modi still does not seem to have a substantial think-tank lending weight to his interviews. He probably talks too much extempore with small strategic inputs, and does not prepare enough when talking on the economy or complex subjects. On the other hand, he has also not committed himself to making elaborate promises to the electorate that he cannot keep. That will work to his advantage if he gets the election. He has great expectations to meet, but few promises to keep. Modi’s march to 7, Race Course Road, is now a case study on how to uses the rules of management and marketing to lead and win. The UK Government congratulates India’s Prime Minister-elect, Narendra Modi, and the Bharatiya Janata Party (BJP) on their election success. “I congratulate Narendra Modi and the BJP on their success and look forward to forging an even closer partnership with India in the months ahead. With 815 million eligible voters, 915,000 polling stations, and nine days of voting over five weeks, India has seen the largest parliamentary election in the world. Registrations for CONNECT ’14, BBG’s national convention will be opening shortly. 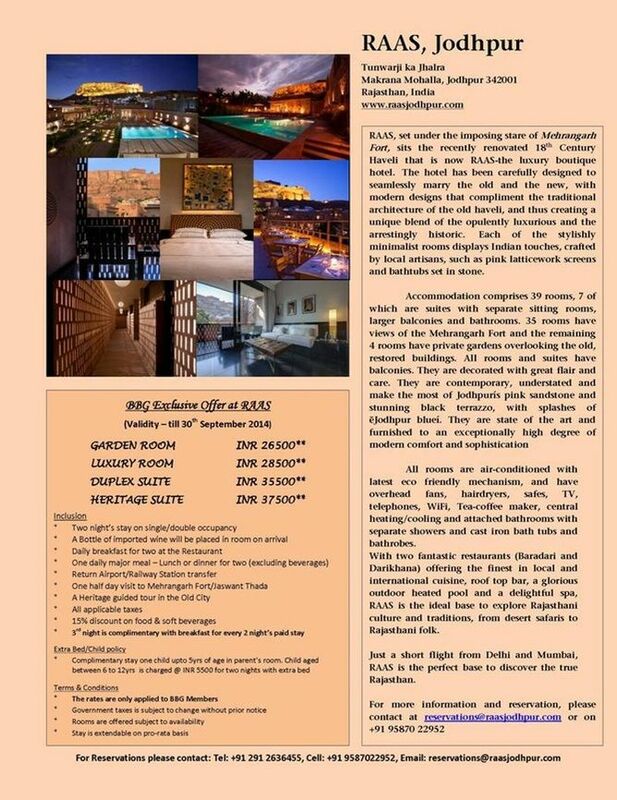 Prior to that Team BBG Delhi thought they should give us notice of what the CONNECT ’14 will offer delegates. If you have had a chance to look at the website (www.britainindiaconvention.com) you will know that the outline programme is coming together. The team is still working on the details with our various partners but it is clear already that there will be excellent participation from India and the UK. The Convention itself, starting with Sector Summits and offering a wide range of programmes through the day, both in plenary and in our different Zones, including more opportunities for B2B meetings (which you will be able to arrange ahead of time through the CONNECT ’14 website). We will also be offering catalogue exhibition space just for BBG members at the Convention, and a special BBG Zone for each BBG to be at home. The day will conclude with an evening reception organised in partnership with the British Council, and then a bigger, more informal party in the Convention Village. We are working on a range of leisure opportunities for delegates ranging from golf, to test drives and tourism, and even a brunch organised specifically for BBG members from across India. Delegates will enjoy special rates at the Taj Palace Hotel for the nights of 10 and 11 October, and special discounts on Virgin Atlantic and Indigo, our Convention Partner Airlines. Upon completing Delegate Registration formalities on the CONNECT ’14 website, the details of how to book through these partners will be sent across to you. We will be letting you know when registration is open. The delegate fee for all BBG members for the Convention will be INR 9,500 per person which includes access to all Convention events. There will be a different rate for non-BBG delegates coming from the UK. 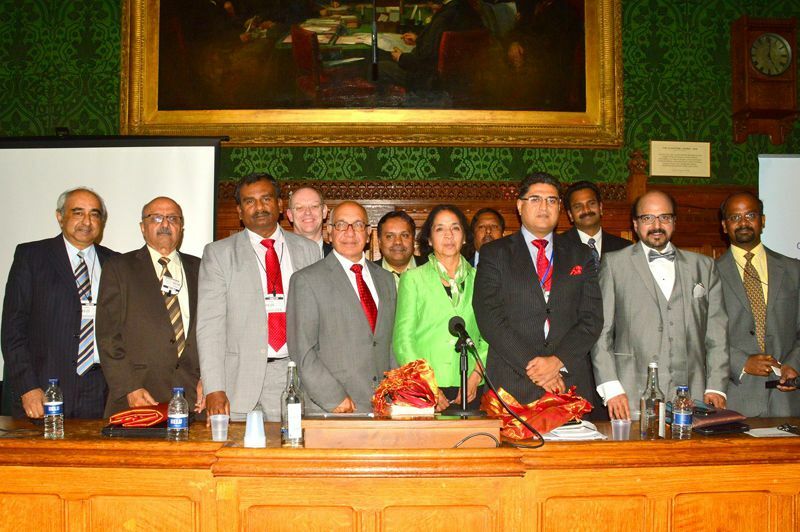 British South Indian Chamber of Commerce (BSICC) in partnership with UK Tamil Nadu Chamber of Commerce (UKTNCC) organised the 2nd UK Tamil Nadu & Puducherry Business Meet 2014 on 8th May 2014 at Houses of Parliament, Westminster, London. BSICC has been conducting few business meetings over the years, such as UK South India Business Meet, UK Karnataka Business Meet, UK Kerala Business Meet and various other state Business Meets at the Houses of Parliament. This year UK Tamilnadu business meet was chaired by Mr Virendra Sharma MP (Southall, UK). The audience included representatives from Tamil Nadu, Puducherry, Members of House of Lords & House of Commons, representatives from other Indian states/ other countries and businessmen from India who are successful in UK. One of the notable attendees for the business meet was Mr.Bharat Joshi, British Deputy High Commissioner in Chennai, who was also the Chief Guest of the day. The event started with a formal welcome speech by BSICC Patron Mr.Virendra Sharma MP, Ealing Southall. This was followed by a brief overview of UK Tamil Nadu & Puducherry Business Meet by Mr.Jacob Ravibalan, BSICC Vice Chair for Tamil Nadu and Puducherry and Founder Director UKTNCC. Mr.Bharat Joshi, British Deputy High Commissioner based in Chennai, spoke about the historical relationship between UK and Tamil Nadu. Following this, Mr. Hasmukh Vora, President of Hindustan Chamber of Commerce, based out of Chennai, Tamil Nadu, offered his perspective of pursuing business activities in Tamil Nadu & Puducherry. Our Chairman, Christie spoke about how good an investment destination Tamil Nadu and Puducherry is. Dr. R. Seetharaman who is the Group Chief Executive Officer of Doha Bank in Qatar gave a detailed information about some of the opportunities for UK residents and Global Tamilians in the Gulf. Mr.David Happy, who was till recently the Vice President EU Affairs for Samsung Electronics, spoke about India UK collaborations and how the UK is a hugely effective springboard into the rest of the EU-27 for Indian companies and twice as big as the USA and a wealthy region. Mr. Velou Singara of UKTNCC spoke about various business opportunities in Puducherry for UK companies. Mrs Kamala Sekar who was till recently the Head of Export Finance at UKTI spoke about the channels of support from UK public sector and BSICC/ UKTNCC. UKTNCC Founder Director Mr. Sundar Subbiah offered the strategy and roadmap for UKTNCC. Vote of Thanks for given by Siv Matchendran – Founder Director of UKTNCC. Mr. Karthik Durgaprasad Founder of UKTNCC gave more details about the business meet “UKTNCC was launched in 2013. The business meet was a huge success and we had participation of more than 150 delegates from Tamil Nadu, Puducherry, United Kingdom and Middle East participating in the meet. Following the business meet, we are hopeful that few UK based companies will start exploring business opportunities to invest in Tamil Nadu and Puducherrry. From BSICC’s side Mr. Sujit Coordinated the entire event, who also said to us that the next South Indian Business event would be around the first week of July. 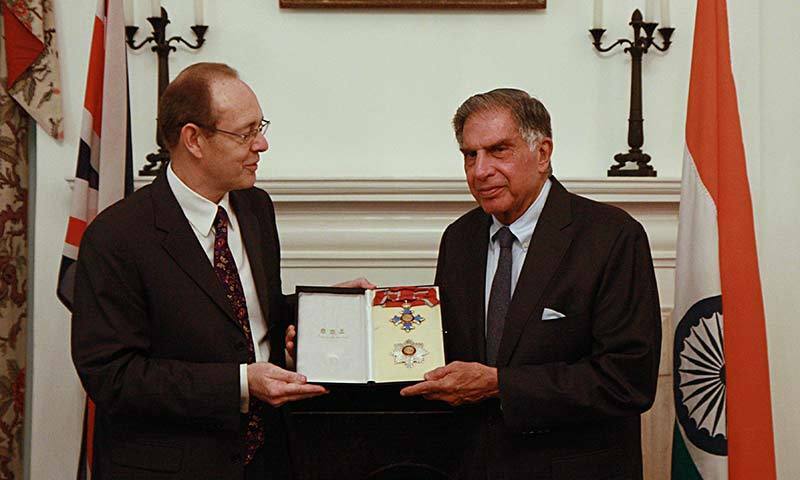 British High Commissioner to India, Sir James Bevan, today conducted the honours presentation ceremony for Ratan Tata, Chairman Emeritus of Tata Sons. The High Commissioner presented Mr Tata with the Knight Grand Cross of the Order of the British Empire (GBE) on behalf of Her Majesty Queen Elizabeth II. Mr Tata has been awarded an honorary GBE, one of the highest civilian honours conferred by the UK, in recognition of his services to UK/India relations, inward investment to the UK and philanthropy. Speaking after the ceremony, Sir James said: “Ratan Tata’s leadership, vision and integrity will remain the gold standard for generations of aspirational British and Indian business people. His contribution to the deep ties that exist between the UK and India has been invaluable”. Her Majesty Queen Elizabeth II conferred on Mr Tata the honorary award of Knight Commander of the Order of the British Empire (KBE) in 2009. Mr Tata is the only Indian national to be awarded the GBE since India became a republic in 1950. Mr Tata is a member of the UK-India CEO Forum and the British Prime Minister’s Business Advisory Group. As Chairman of Tata Sons, he oversaw the Tata Group, one of the leading foreign investors and employers in the UK. Under his leadership the UK benefited from significant inward investment from Tata companies. Tata are now the largest manufacturing employer in the UK.